Without fail, there's always one biopic a year that manages to ascend in my esteem beyond a cheap "Oscar bait" write-off. Usually, these are films that surprise me not merely because of the quality of their performances, but because real thought has been put into the crafting of the narrative. If there's one thing year after year of "Oscar movies" can teach us, it's that there's a real difference between great raw material and a great movie. The best "based on true events" films manage to arrange the contents for maximum impact, and whether or not they take liberties, they become ironclad narratives that reveal something about their subject without forgetting to engross and entertain their audience. 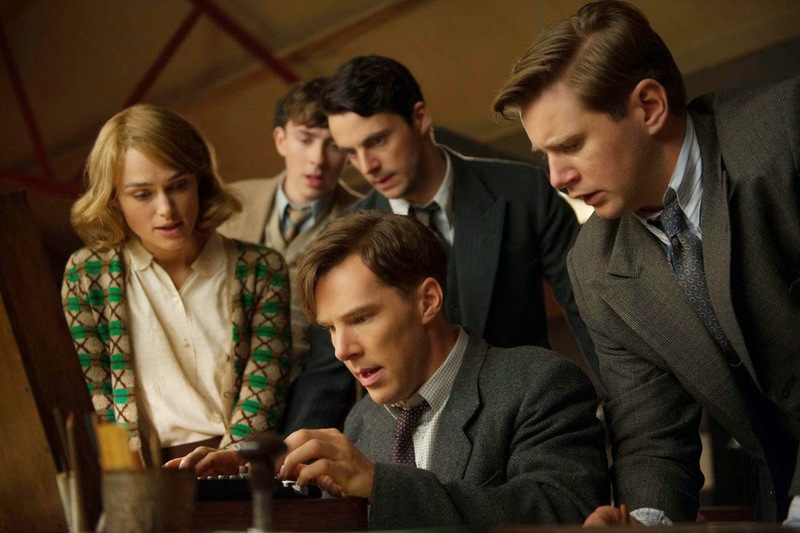 When films like this really work, they manage to feel somehow light even when their subjects carry significant historical weight, and The Imitation Game does precisely that. Though the film deals with heavy subjects like social injustice, questions of identity, and Nazis, it puts its characters first and lets us engage with the issues through them. 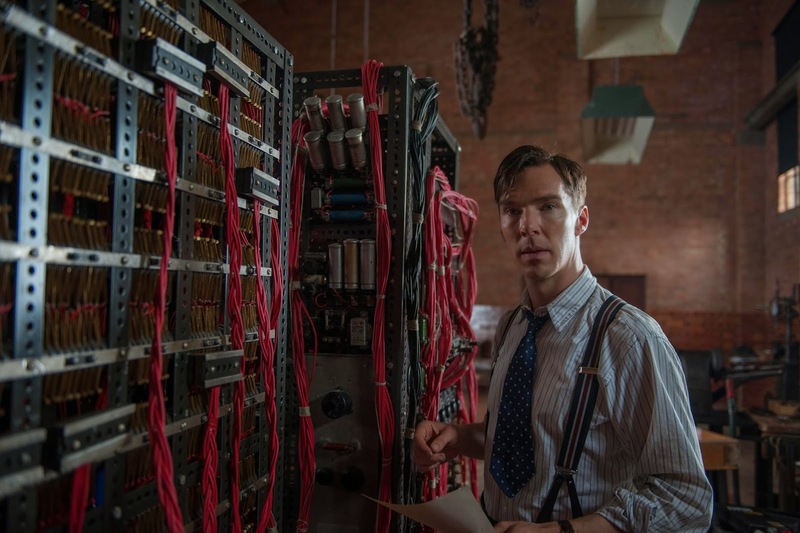 While there's a clear reverence for Alan Turing (here played by Benedict Cumberbatch) and a definite interest in drawing attention to his contributions, The Imitation Game concentrates on making him human instead of preaching. What it offers is a real, compassionate portrait of a man who accomplished so much and yet suffered so greatly. Turing was a British mathematician and one of the pioneers in the field of computer science. He was also, to quote the film, a bit of an "irascible genius" who found it difficult to relate to other people -- in part because of the secrets he was forced to keep. Imitation zeroes in - memoir style - to focus on chronicling Turing's participation in the government efforts to crack the German Enigma device, a recycling code thought to be unbreakable. So, we see him clash with the British military, clash with his more socially minded teammates, and use the opportunity to fund and build one of the world's first computers. What the bold faced historical facts tend to leave out is that Turing himself was gay, and even after all he did to end the war, he still wound up prosecuted for indecency several years down the road and made to suffer indignities that drove him to eventual suicide. That shouldn't be a spoiler alert, for a figure who accomplished so much, but perhaps it is. In his lifetime, Turing lived with secrets. There was the burden of his sexual identity, yes, the burden of pretending to reach out to other people, the burden of hiding the fact that he'd cracked Enigma, the burden of being responsible - in a way - for who lived and who died. During the war he played along with intelligent men like Hugh Alexander (Matthew Goode) to keep afloat, and was engaged to co-worker Joan Clarke (Keira Knightley) just to keep her on the team. After their backstage participation in the war effort, Turing and his teammates in Hut 8 lived as enigmas themselves. What they'd done was so confidential that the records weren't opened until some time after Turing's death in 1954, and the film plays off the notion of so many overlapping secrets and ciphers as a type of theme. Questions of identity, imitation, and information are interwoven so thoroughly within the narrative that even disparate flashbacks fit neatly into the film's continuity. The screenplay, the first feature-length by Graham Moore, is on point in its efforts to tie everything together. Moore pays close attention to the language of these individuals and allows them to speak in a way very much in keeping with their constant battle to be recognized as the smartest guy (or girl) in the room. In doing so, though, he makes sure that Turing is always just slightly ahead and slightly less aware of concepts like subtext or sarcasm. Turing can't quite read people, they're codes that can't be deciphered. And yet, he has figured out how to walk among them and code himself just enough to save his skin. He's the type of figure that makes perfect sense for Benedict Cumberbatch, and though the actor has made his career thus far playing irascible, often Aspergian men, Turing may be the most spectacular thus far. Cumberbatch is layered here, showing us a glimmer of self-doubt and self-loathing just below the unbreakable, often robotic surface. This is a man who wishes he could be a machine, but who, at the end of the day, was only human.